IFIM Law School offers world-class education by nurturing human values and ethics, and by imparting knowledge, which emphasizes on life skills. The College nurtures and supports a unique system of education structured syllabi of Karnataka State Law University, combining the tenets of academic excellence and professionalism. The college is proud of its enviable academic ambience that assures highest learning-resource support for achieving optimal learning outcomes. It disseminates quality education to the students to develop their personality, to improve quality of life and to make them worthy citizens. The teaching-learning process is made of high order with a team of highly qualified, experienced and dedicated faculty. Also, student-centered pedagogy is practiced with emphasis on ICT usage in the teaching-learning process. Bridge courses, compensatory classes and remedial coaching constitute our distinct extra-care for the academic progress of our students. At IFIM Law School, the curriculum, parental care and pedagogy form the essential factors that shape the students for their successful career. Regular Moot Courts and visits to courts-in-session. World-class library and computer centre with digital legal resources. Internships opportunities and final placement facilitation in reputed companies and legal firms. Hostel facility exclusively for boys and girls. Affiliated to the Karnataka State Law University and recognised by the Bar Council of India, the B.B.A., LL. 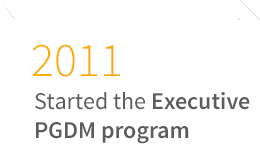 B. course is a combination of the study of Law and Business administration. The course has been designed specifically with a view to equip its graduates with an understanding of the legal and management principles so that they get a distinct advantage in their professional careers. 28 Criminal Law - II: Criminal Procedure Code, etc. Welcome to IFIM Law School! Life is full of challenges and opportunities. To unearth these opportunities and to be capable of facing the challenges of dynamic global environment, one needs to think creatively and innovatively. 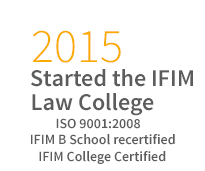 Education in Law at IFIM Law School, Bangalore, fosters professional, intellectual and personal development that helps an individual to think in an innovative and creative manner. IFIM Law School is going to be a stepping stone for your career whilst becoming confident individuals capable to face the world. 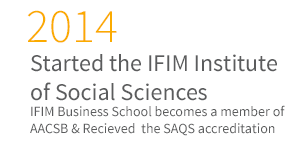 IFIM Law School has been conceived as a training ground for those seeking to enter the legal profession. Under the umbrella of Center for Developmental Education (CDE), the college has created and maintained an academic atmosphere that enables a student’s growth to the fullest extent. The college is recognized by the Bar Council of India and is affiliated to the Karnataka State Law University, Hubli. At present the college is offering a five year BBA,LL.B Program and operates out of a modern, well equipped campus located in the heart of the city. 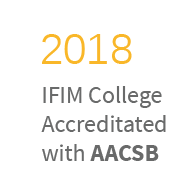 The ethos of imparting education in IFIM Law School comprises of a mutual endeavour of the faculty and the students who become part of our family after clearing the hurdle of a rigorous and strenuous selection procedure. 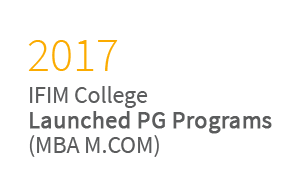 The college has been in a process of striving for academic and professional excellence in the field of legal studies in the country. Our teaching methodology and the response from students can be safely summarized as being par excellence. We encourage our students to take part at the various spheres of national and international Moot Court Competitions, Legal Aid Program, Paper presentations and the attendant Sports and Cultural activities. We strive for an all-round and inter-disciplinary academic excellence in sync with the other National Law Schools of the country. As we persist in our academic endeavours, it won’t be an overstatement to make, that our IFIM Law School will become a leader in the sphere of legal education in the country. 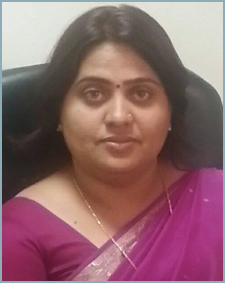 Dr. Sujatha S. Patil holds a degree in 5yrs BA LL.B(Hons), LL.M, PH.D in Patent Law. She has more than 10 years of professional experience. She Practiced law for one year in High Court of Karnataka, under senior Shri. B. S. Patil the present judge of High Court of Karnataka. 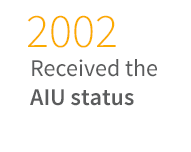 Year 2005 onwards, she commenced her journey in academics. She worked for 2 years in Sarvoudaya Law College Bangalore & 8 years in Dayanand Sagar Institutions. She has expertise in coordinating and conducting Seminars, Legal Aid Programs and Moot court competition with Academic Excellence in project Guidance and Teaching. Affiliated to the Karnataka State Law University and recognized by the Bar Council of India, the BBA, LL. B. course is a combination of the study of Law and Business administration. The course has been designed specifically with a view to equip its graduates with an understanding of the legal and management principles so that they get a distinct advantage in their professional careers. Students are taken to Central Jail, Forensic Lab, NGO’s, Remand Homes, Court Visit. Student participates for Moot Court, Cross Court examination, MDP, Legal Essay writing competition, Debates and Seminars.